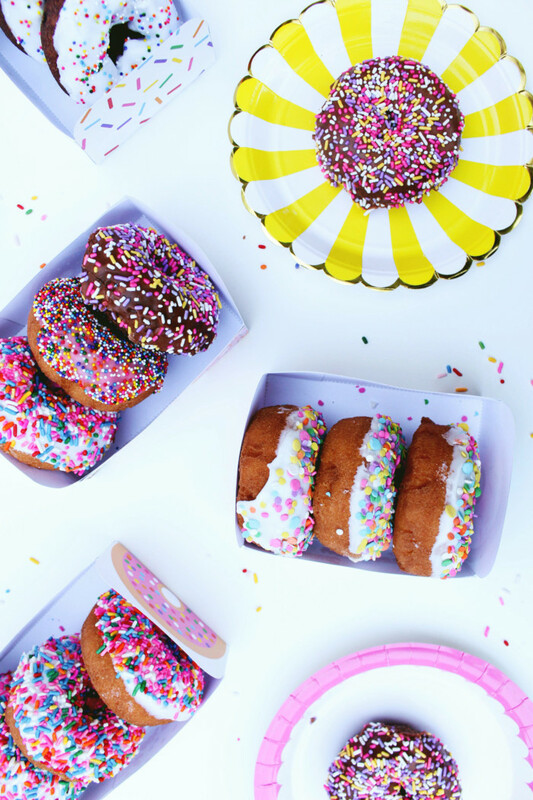 Donuts are the perfect party food! They’re adorable, single serving cakes that everyone likes. They’re also great for gifts for your neighbors or teachers. 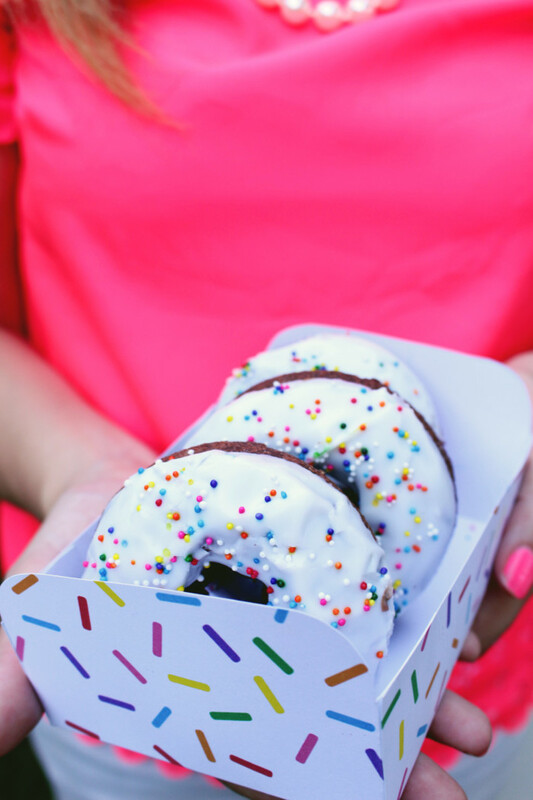 But, housing them in a donut tray is a lot cuter than on a plate, right? Plus, with this free printable you can save money on plates and serving dishes cus all it requires is a piece of paper! Also, easy-peasy clean up! 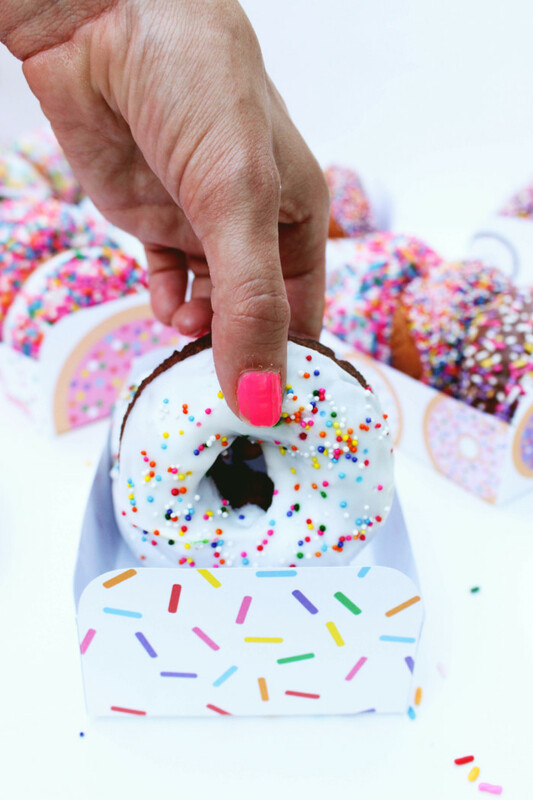 I know there is like eighteen zillion donut crafts flying around the internet these days. Which isn’t a bad thing by any means! But I’ve never seen such a cute and simple way of displaying or handing them out as these trays! You know what is so weird about me and donuts? I don’t even really crave them until I’m trying really hard not to eat them. Particularly when I’m trying not to eat anything unhealthy, like on a Whole30. The other treats that I tend to like better on a regular basis aren’t even as appealing to me as donuts are when I’ve cut it all out. Isn’t that strange? I don’t know what it is about healthy eating that suddenly makes these treats so appetizing to me! In case you’re wondering, Dunkin’ Donuts is actually my favorite. Their strawberry frosting is just the best and they always have a fun new flavor that is like WOW! 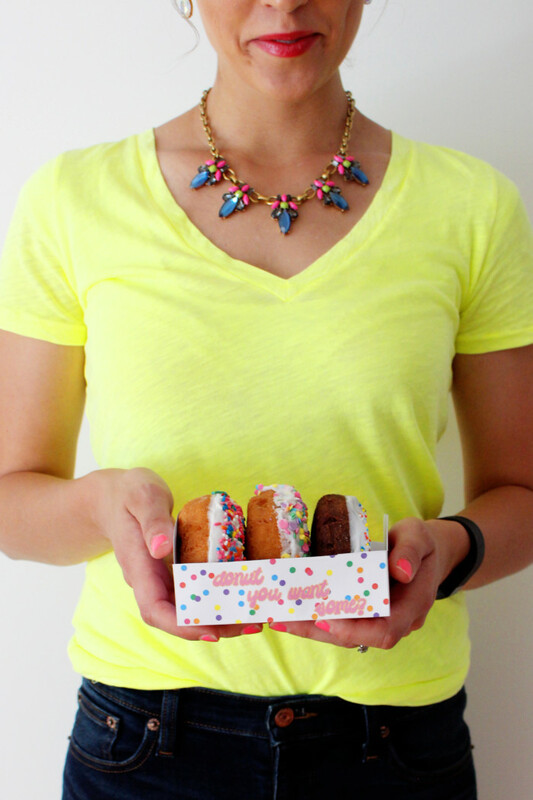 I guess I’m just a donut-chain kind of girl. Although, to be fair, Utah really doesn’t have a great selection of independent donut joints. The most exotic flavor you can find here is maple bacon and, let’s face it, once a donut is sold in the bakery section at Smith’s, it’s not really a gourmet flavor anymore. These girls even happily smiled for several cute photos before digging into their donuts! I’m telling you, these trays are just pure happiness! Making them doesn’t require any special tools and can be done in just a few minutes! 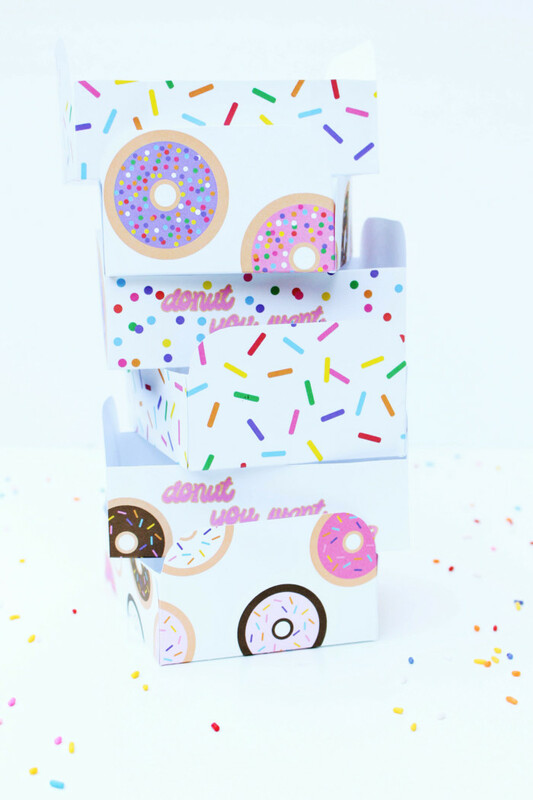 So head right here to find all the designs, step by step instructions and whip up some happy little donut trays for yourself. Thank you! I just saw your response today. My grand kids will love this.